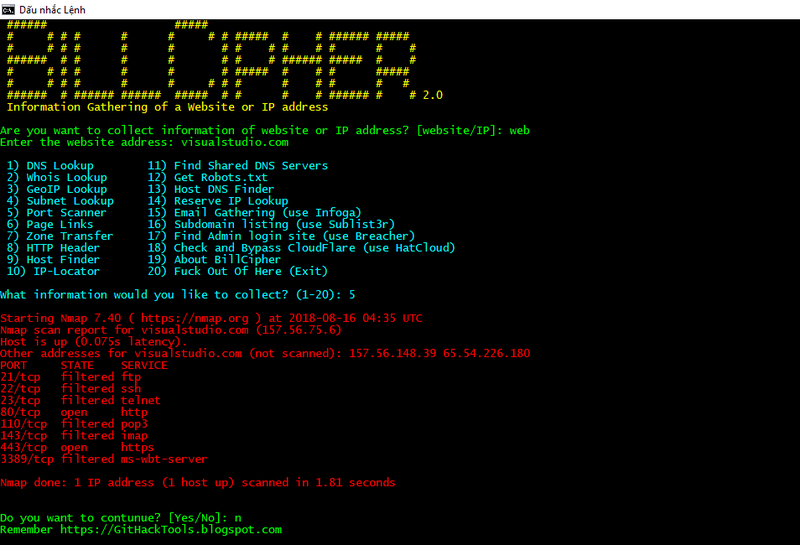 Information Gathering tool for a Website or IP address, use some ideas from Devploit. BillCipher can work in any operating system if they have and support Python 2, Python 3, and Ruby. Website Copier (use httrack) NEW! 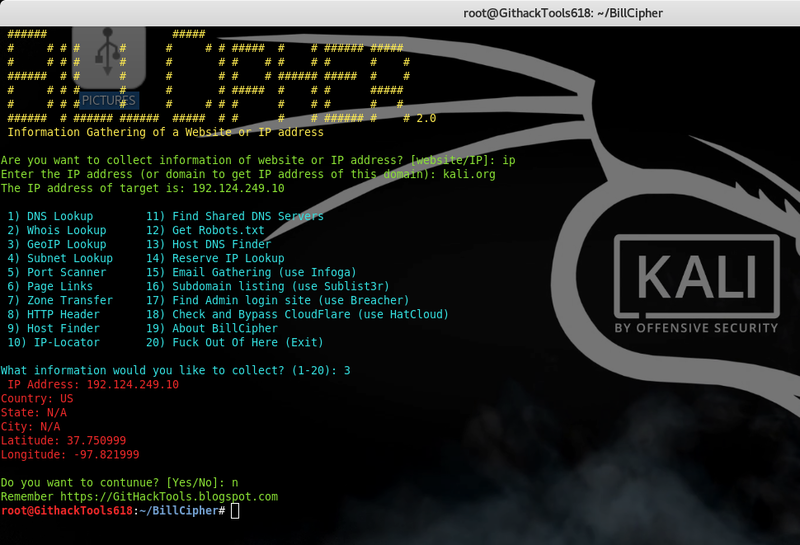 Host Info Scanner (use WhatWeb) NEW! In Customize Python 2.7.x, find Add python.exe to Path and select Will be installed on local hard drive. Download and run Ruby-lang setup file from RubyInstaller.org, choose Add Ruby executables to your PATH and Use UTF-8 as default external encoding. Download and run Git setup file from Git-scm.com, choose Use Git from Windows Command Prompt. BillCipher uses some ideas from Devploit and that is use HackerTarget API. All the tools: Breacher, Infoga, HatCloud and Sublist3r are tools from other developers, not programmed by GitHackTools.